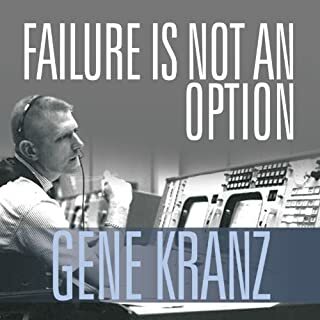 From the glory of being part of the mission that fulfilled President Kennedy’s challenge to reach the moon before the decade was out, Aldrin returned home to an Air Force career stripped of purpose or direction, other than as a public relations tool that NASA put to relentless use in a seemingly nonstop world tour. The twin demons of depression and alcoholism emerged - the first of which Aldrin confronted early and publicly and the second of which he met with denial until it nearly killed him. He burned through two marriages, his Air Force career came to an inglorious end, and he found himself selling cars for a living when he wasn’t drunkenly wrecking them. Redemption came when he finally embraced sobriety, gained the love of a woman, Lois, who would become the great joy of his life, and dedicated himself to being a tireless advocate for the future of space exploration - not only as a scientific endeavor, but also as a thriving commercial enterprise. These days, Buzz Aldrin is enjoying life with an enthusiasm that reminds us how far it is possible for a person to travel, literally and figuratively. As an adventure story, a searing memoir of self-destruction and self-renewal, and as a visionary rallying cry to once again set our course for Mars and beyond, Magnificent Desolation is the thoroughly human story of a genuine hero. Satisfingly technical to keep a geek like me happy... but with a lot of reflection of his entire life so far as well. he is, and caused him tons of grief. Neil Armstrong was smarter, he just unplugged and went back to rural routes. to remain a fantastic enlargement of themselves. of the longest EVA's in the Gemini program. It is always puzzling the reticence of the astronauts about an out of this world experience. of the alarms that came close to aborting the landing. I wonder what Armstrong said afterwards ! The book is long and once I had reached the late 1970's portion of this book I wondered what the rest of the book would be about. But I am VERY glad I read on into the 80's, 90's and 2000's. Buzz is a complex man and has inspired people of multiple generations with his active and long life and his courage. Now he can add one more person he has inspired. Buzz told his honest story of his ups and downs , his failures & historic accomplishments ! I loved it ! To infinity & beyond ! 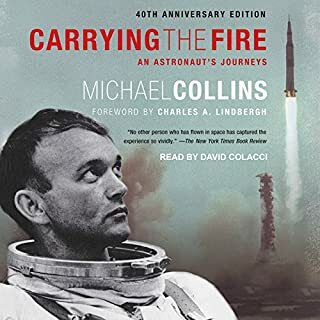 An amazing true story of one of our most famous astronauts overcoming depression and alcoholism to becoming our best advocate for future manned space exploration and tourism. 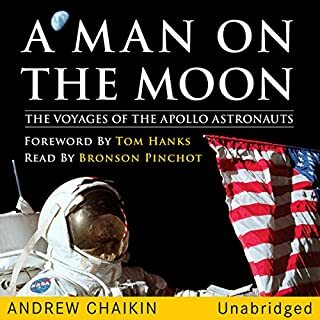 It’s a good mix of his deeply personal story and a history of the Apollo program including a play by play of the Apollo 11 moon landing in the first few chapters. The narrator has a similar sound and quality to Buzz’s voice that make listening feel authentic. 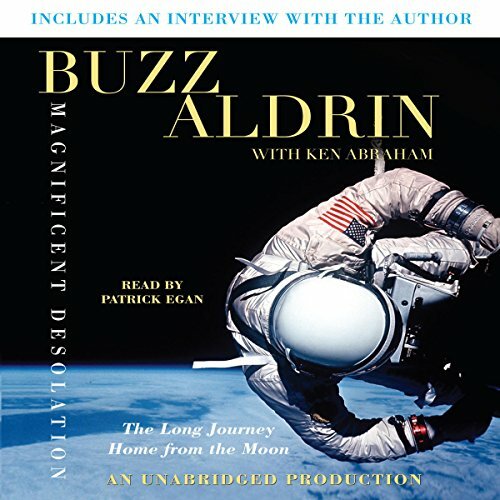 What could Buzz Aldrin and Ken Abraham have done to make this a more enjoyable book for you? Shorten it by about half. Keep the first half intact and relegate the latter half to another book under another title. Who would you have cast as narrator instead of Patrick Egan? Did Magnificent Desolation inspire you to do anything? Yes. I think I'll try to learn Braille. Neil and Buzz were a truly american heroes for my, but after reading these book I have a complete different opinion about Buzz. The first part is really a good book. Then he talks and talks and talks about his recovering live and half of the book he talk us about the life off his 3rth wife. What for? I don't know why. I better read First Man to see the great difference betwen Buzz and Neil life. This book must be really well written, and is well read, given that it was gripping in parts, and overall enjoyable. Why only 2 stars? Start with the fact that the first part of the book is great...then you find out that has already been the subject of another book. That has to do with the trip to the moon and his difficulties with depression afterwards. The middle is long. There is a20-30 minute section on his wife's past. What does that have to do with anything? Do we reallyneed to hear about all the moon references in his engagement and wedding? The man clearly is so full of himself and his trip to the moon, in some respects it is no wonder he had trouble when he got back. The end is one long rambling dialogue about his vision for space travel. Again, 10-15 minute rehash of his testimony to congress. If i want that, i can probably go into the congressional record and read it myself. Overall, Buzz comes off as a man who (in his own words) is all about Buzz. Everything is I this and I that. The man made a huge killing off the fact that he happened to be in the right place at the right time. I am a space nut and love all things about Apollo etc, but these guys did not change history based on their actions or decisions like a Roosevelt, Churchhill, or Eisenhower. They were pilots who go to go on the ride of a lifetime. It's no wonder his fellow astraunauts were criticial of him for using his fame. 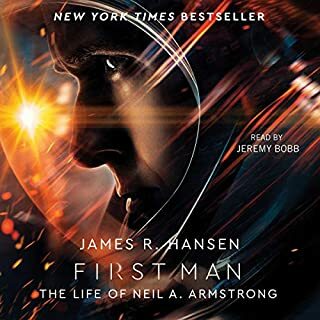 This isnot as bad as it sounds, as I actually enjoyed the book and found parts gripping, but by the end, i just felt like saying, get a grip buzz, there are more important things then hotels in space. Four decades ago we "older guys" saw Neil Armstrong and Buzz Aldrin walk on the moon. It was one of the most exciting days of our lives and will never be fogotten. The first 20% of Magnificent Desolation tells that story and what a story it is. 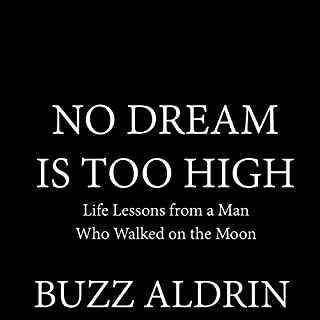 The middle of the book tells of Aldrin's battle with depression and alcohol. The last pages relate his ideas about the future of NASA and space flight. This book is not worthy of a man with a PhD from MIT and the military rank he attained. There were no new insights in the voyage to the moon. The story about his depression and alcohol addiction came off as self serving and the sections on how NASA might enhance the space program read like sour grapes. The ability and thoughtfulness of this great American should have shown much brighter. He deserves a better legacy. Otherwise,for readers who just want to "get to know" this great man, his candor and honesty alone will reward them. It isn't a bad book, it just could have been far more instructive and insightful. The reading is very good. 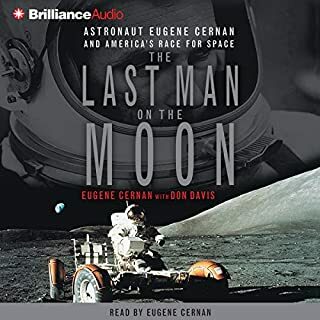 It starts with the juicy bits about the moon, and goes off into a rollercoaster into Buzz's life after the moon, and the many struggles and triumphs along the way. I found this to have a very personal touch that I could deeply relate to and Buzz has during the course of this book become my new favourite astronaut. Not much about space or the moon landing. Mainly about Buzz Aldrin's struggle with drink and depression. Not that interesting and made worse by the appalling mono tone expressionless voice of the narrator. A few interesting facts appear within the story addressing NASA politics and what was really going on in the background but I would struggle to recommend it. i love space flight and nasa - but this title is seriously dull.